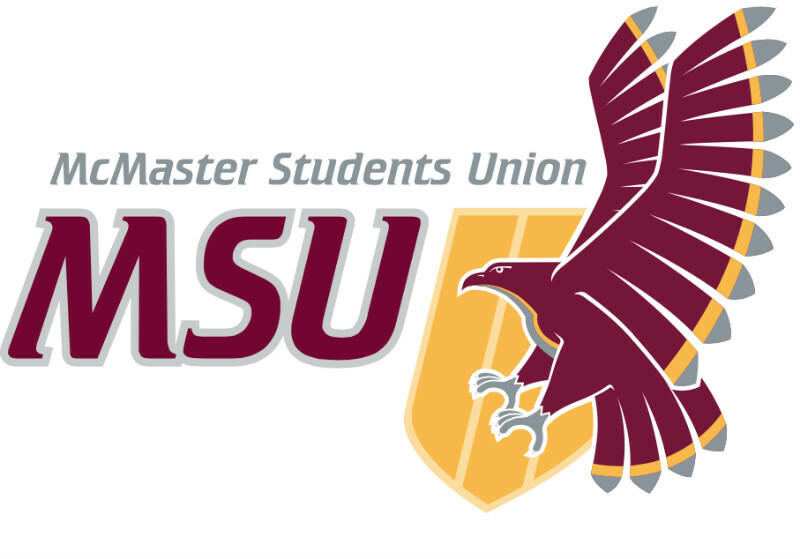 The McMaster Students Union employs dozens of students through part-time positions in various services with flexible hours. These often attract the best and the brightest within the student union. But working for the student union is not without its own hiccups, and students are speaking up. Following the end of her term as part-time manager for the Peer Support Line, Zeinab Khawaja, a fourth-year Health Sciences student, presented a statement to the Student Representative Assembly. She expressed concerns about the expectations the MSU holds for their workers. In her statement, Khawaja argued that part-time managers have not received adequate training before their roles began and subsequently did not receive adequate support from their higher-ups. She took particular issue with the expectation many held for part-time managers that they would willingly work over their hours without compensation. “My job description contains the line ‘Time demands may exceed stated hours of work’ and there is an expectation that I will not be paid for this. This is unhealthy, unfair and quite probably in violation of labour laws,” she said at the SRA meeting on April 9. Whether you were aware or not, you have probably used an MSU service at some point during your undergraduate career. The MSU offers over 30 services for all members. These range from leadership-oriented services such as the MSU Maroons and the Creating Leadership Among Youth conference to advocacy-driven services such as Diversity Services and Maccess, which aim to promote equity for marginalized groups on campus. MSU services are largely run by fellow students, many of whom work as part-time managers for the each service. Broadly speaking, part-time managers are in charge of hiring executives, managing finances and coordinating events for their service. Every service has specific needs and different services require different jobs from their respective part-time manager. 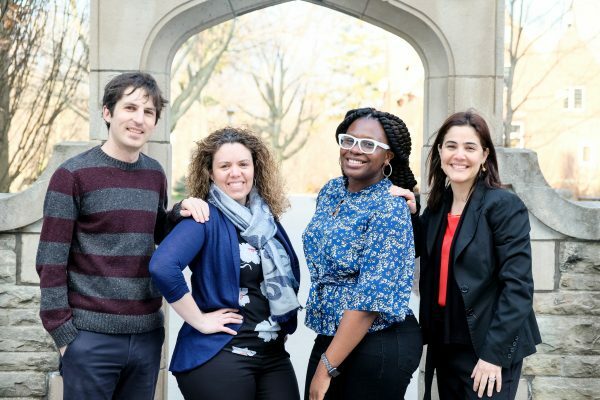 For example, part-time managers for advocacy-related services such as the Women and Gender Equity Network and Diversity Services are often expected to work with other equity-related groups on campus such as the Ontario Public Research Group and the Presidents’ Advisory Council on Building an Inclusive Community. The majority of part-time managers are expected to work for roughly 10 to 14 hours per week depending on the service with the majority of their terms beginning May 1 and ending April 30. Some exceptions exist. Some part-time managers are paid for more hours such as the Emergency First Response Team director, or different, shorter terms for seasonal part-time managers such as the Shinerama Campaign coordinator whose job is finished after Welcome Week is over. Peer Support Line is an anonymous and confidential support line where any McMaster student may receive emotional support from trained volunteers. PSL saw a marked increase in usage this year, and Khawaja ran into new, unprecedented problems with her own safety being compromised at times due to her association with the service. “Our usage more than doubled from last year, meaning we were much busier than we have been in the past. I was repeatedly talking to security services/police because of certain unprecedented situations, and I often had to drop academics or other commitments to do so due to the urgency of the situation,” she said. To ensure the service ran smoothly and that her volunteers were also being supported, Khawaja had to work over her paid hours repeatedly. Because of this, she asked for retroactive pay from the Executive Board, the MSU committee responsible for the day-to-day operations of the student union. Khawaja asked for three extra hours per week from Sept. 1 to March 26, and was denied this request. This denial sparked her desire to speak up about her working conditions. In Khawaja’s last Executive Board report for PSL, she expressed her lack of compensation for the work she and her executive team had put in throughout the year, but received little support from the board. “When I shared the things we were struggling with, I got no support. I explicitly said that I needed help with a few things, but there was no feedback, follow-up or guidance provided. In fact, none of the concerns I brought up at EB throughout the year were ever mentioned again unless I actively brought it up multiple times,” said Khawaja. Khawaja also expressed concern about part-time manager training, since they were not explicitly trained to do the day-to-day activities expected from them such as filling out a purchase order, working with the MSU Underground for promotional material and booking spaces on campus. Many other part-time managers came to Khawaja to learn how to do these tasks. “These are basic tasks that all part-time managers have to be able to do. This not only indicates that the training provided to us did not prepare us for our jobs, but also that there wasn’t a supportive environment where part-time managers felt they could ask for help without fear of being judged,” she said. While Khawaja was the only part-time manager to speak at the SRA meeting, she states she has the support of other part-time managers who were not comfortable speaking up. “I didn’t ask anyone be included because I know it’s difficult and no one seemed very excited to be included. Some people explicitly said they didn’t want to be named. … I’m someone who’s comfortable and it was really important to me to bring this to attention so that it would hopefully change, and I know that how other people feel,” she said. Preethi Anbalagan, the current vice president (Administration), cannot comment on Khawaja’s statement since she is not at liberty to comment on closed meetings or disclose similar information. She does, however, plan to support part-time managers through various other means and pointed out that there are steps in place within the union to support part-time managers. All part-time managers are expected to report to the Executive Board, a committee consisting of the board of directors, some SRA members and some of the full-time MSU staff. Part-time managers are expected to meet with EB regularly and submit EB reports. These EB reports are typically two to four pages in length and discuss updates, service usage, budgeting, volunteer retention, successes and challenges and similar topics. “You do have that nine person panel, where you are supposed to talk about some of the challenges you face on a day-to-day basis or put them in the EB report so that nine people around that table are able to look at those challenges and provide some recommendations and how part-time managers can navigate the challenges they’re facing,” Anbalagan said. Anbalagan also plans to implement an anonymous feedback form where employees may comment on how she can improve in her role as their support. This will exist in tandem to the traditional one-on-ones vice presidents (Administration) have held in order to support their workers. At this time, however, it is unclear whether issues concerning compensation and unpaid hours will be addressed by the upper management of the MSU. Part-time managers continue to work diligently to ensure their services run smoothly and grow. With Khawaja’s statement ringing in the ears of the higher-ups, there is hope more safeguards will be put in place to maintain a more equitable work environment for all MSU employees.